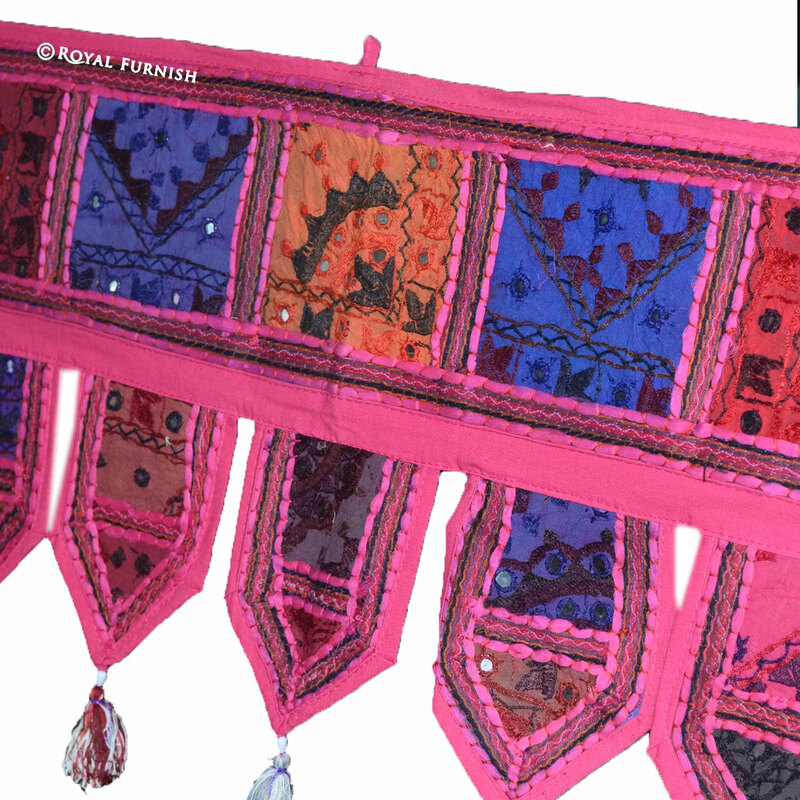 Adore your windows and doors with India handmade patchwork window valance. 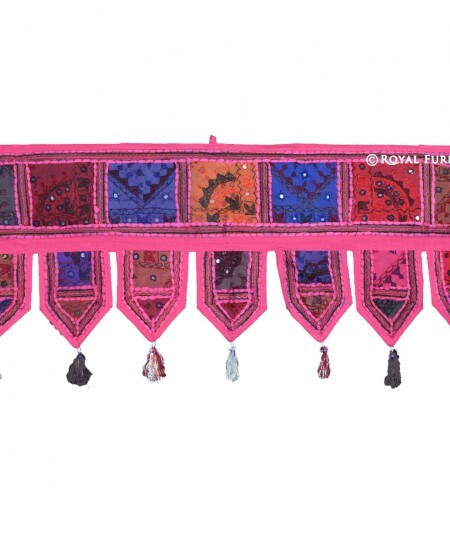 In India it is called "Toran". 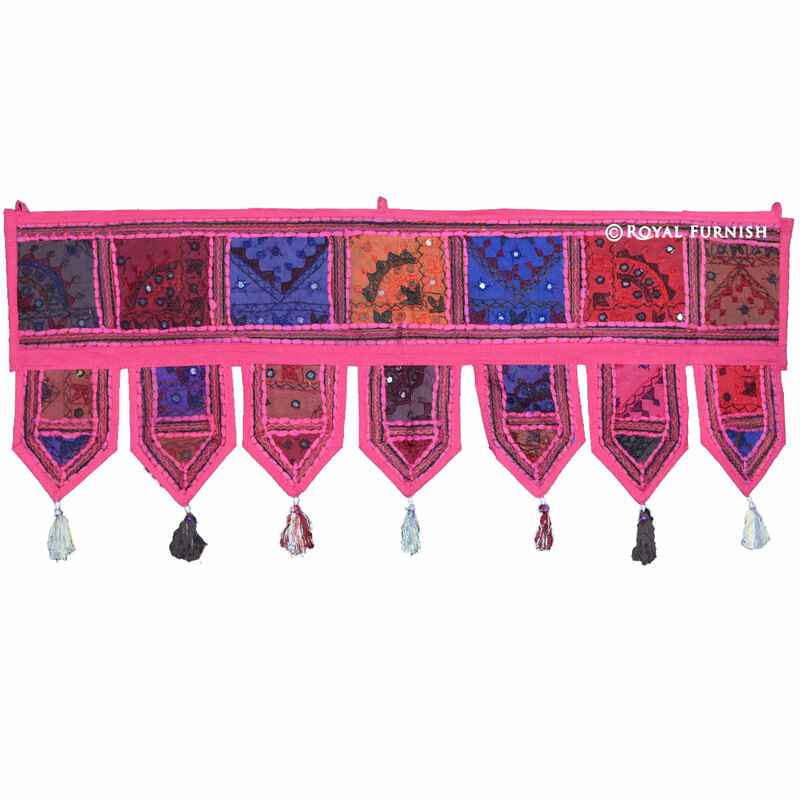 Hang it on your door and windows to give traditional look and royal feel and quickly add ethnic style to living room or bedroom of your home whether it any festival or any special event. Coordinate with the matching valance (sold separately) to create a beautiful window ensemble. Multi-color patches makes it splendid which is ice on the cake. 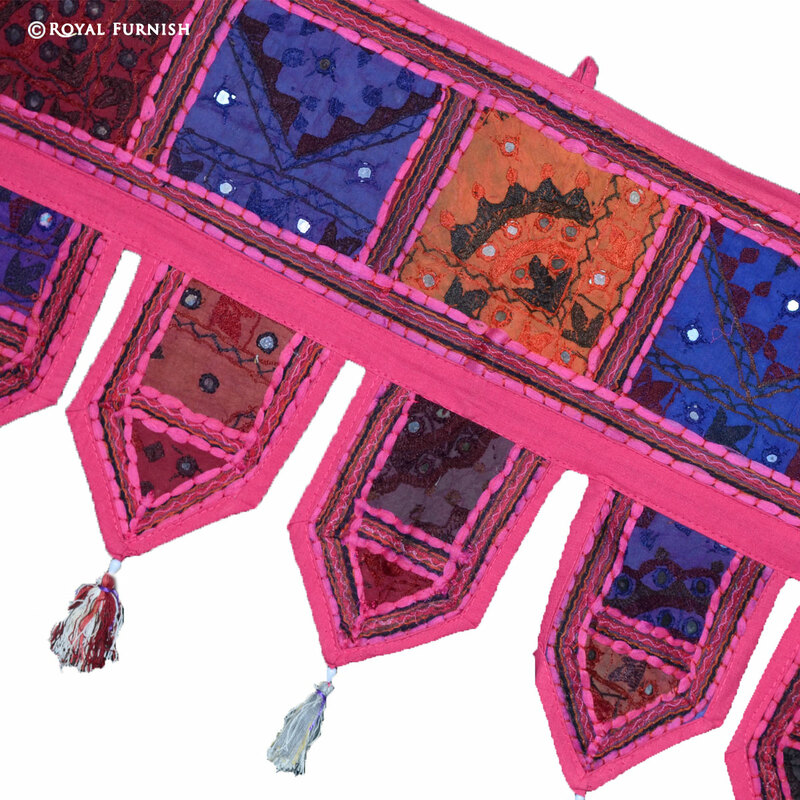 If you are looking for a beautiful, alluring, decorative item for windows and doors. 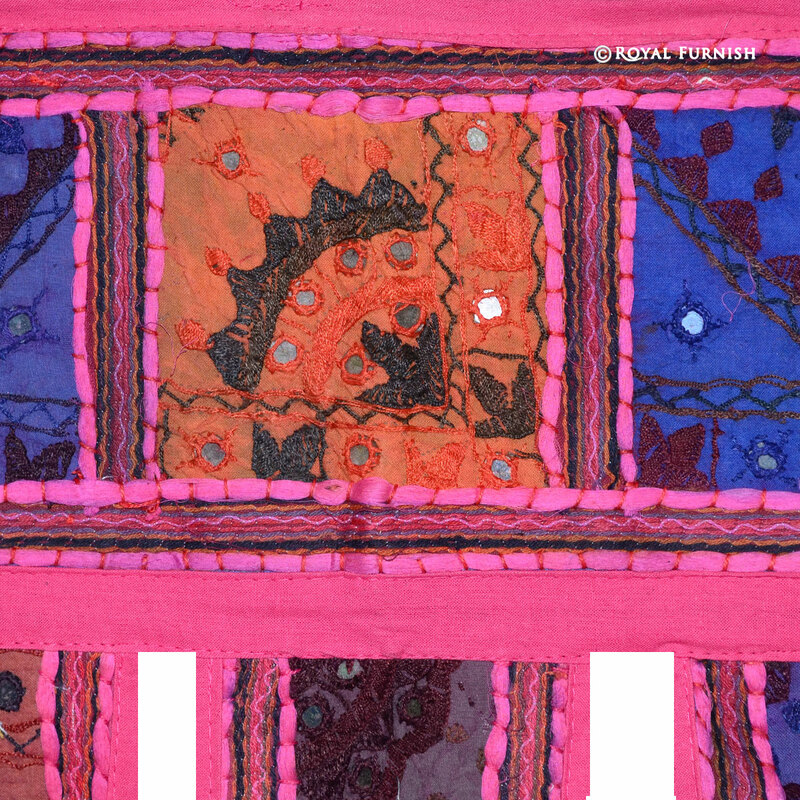 Size: 38" x 14" inch (96" x 35" cm.) approx. 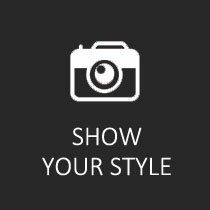 Note: Due to nature of handicraft, one item will be slightly different from one to next. 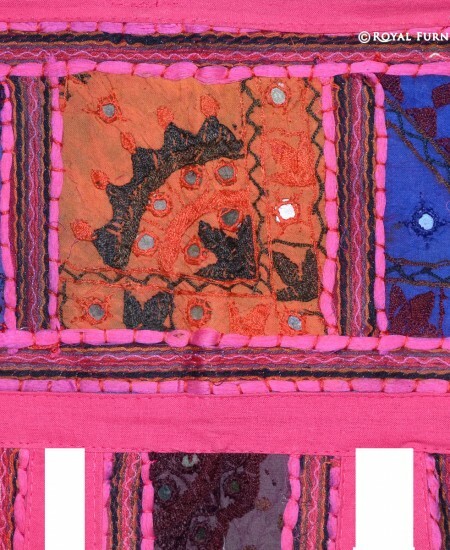 38" x 14" inch (96" x 35" cm.) approx. 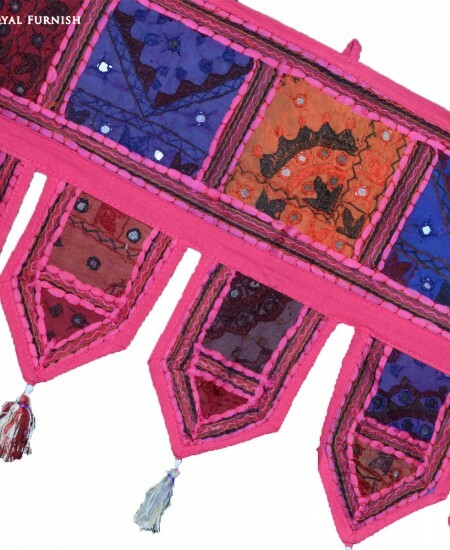 Due to nature of handicraft, one item will be slightly different from one to next. 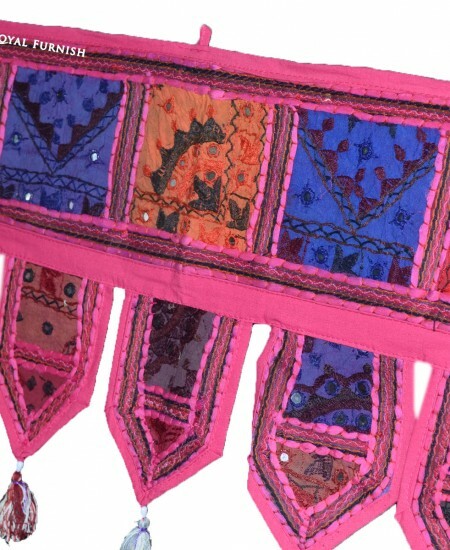 38" Pink India Patchwork Toran Window Door Hanging Valance Topper Decor Art added to the cart!